Have a leaky head gasket that needs changing? The head gasket is a very important part of the engine. It ensures that the joint between the cylinder gasket and the engine block is tight, so that you don´t risk leaks. That makes a tight head gasket very essentielt, since any leak or oil or water can damage other parts of the engine. How can you tell, if the head gasket is leaking? If you experience one or more more of these signs, we recommend that you have a professional garage check whether your head gasket is leaking. On autobutler.co.uk you can receive up to 3 quotes, and you can then sit back and compare the prices, the location of the garages and reviews from other car owners. You are also more than welcome to contact our skilled support, if you have any doubts about an issue the may, may not, be related to the head gasket. They are ready on weekdays from 9 AM – 5 PM by the phone, so call them at 0800 048 8195, and they can help you. Can I fix, tighten or replace the head gasket myself? At autobutler.co.uk we highly recommend that any replacement or tightening of the head gasket is done at a professional garage. This is because the task itself is very difficult, but also because the risk - if not done completely correct - of damaging the whole engine is very high. However, there are products in the stores made to tighten a head gasket, but they should only been seen as a temporary solution, since the task of making sure that the head gasket is 100 % tight should be left to a professional mechanic. Besides it being a difficult task, the products can be full of chemicals that should be handled very carefully. These products can therefore be used as an emergency solution, but you should quickly get the head gasket replaced by a professional mechanic. Since the replacement of the head gasket is very difficult, the task is often fairly expensive. The head gasket itself is not that expensive, but it is very difficult to get to, and it therefore takes a long time and makes the job pricy. Sometimes the cylinder gasket has become uneven and needs filing, or maybe it has a crack and needs to be replaced, which can make the job even more expensive. This is an even better reason to get more quotes here on Autobutler, so that you can compare hourly rates at the different mechanics and also read reviews and choose the offer that suits you the best. 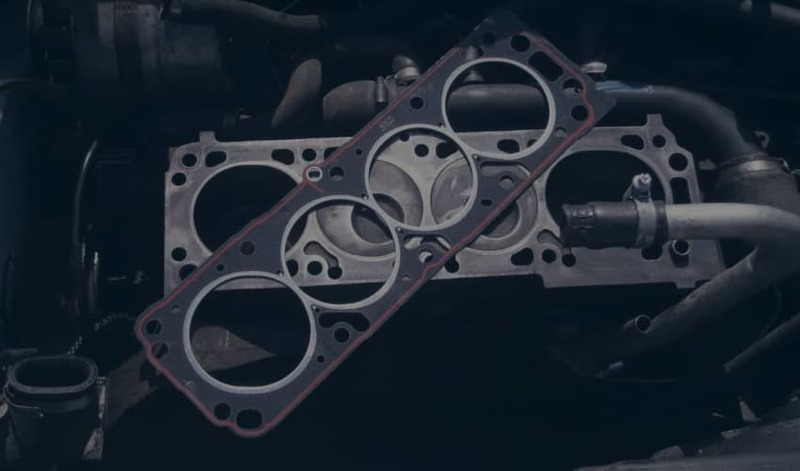 What is a Head Gasket and What Does it Do?